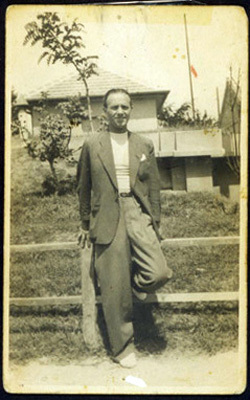 Katherine's boyfriend during the war, Bennó Müller; Budapest, Hungary, July 12, 1942. He died in a labor camp, Bor, outside of Belgrade, Yugoslavia. A witness told Katherine that he was shot.